Fall is finally here. And although fall color started slowly this year due to warmer temperatures and low rainfall, this is a great time to head out to see gorgeous fall colors in Georgia. If you live in Georgia, why not pack up the car for a day trip and head out on a drive to check out some gorgeous autumn leaves? Today, I’ve partnered with Palmer Dodge to bring you this list of the top 5 places to see fall colors in Georgia. Cloudland Canyon – located in the Northwest corner of Georgia, on the western edge of Lookout Mountain, Cloudland Canyon is one of the most scenic parks in the state. Offering spectacular vistas with elevations ranging from 800 to 1,980 feet, visitors can see for miles and experience a rainbow of fall foliage. Amicalola Falls – featuring spectacular scenery and hiking trails Amicalola Falls is one of Georgia’s most popular parks. Additionally, at 729 feet, Amicalola Falls is the tallest cascading waterfall in the Southeast. Black Rock Mtn. State Park – as Georgia’s highest state park visitor are guaranteed to find amazing views and outstanding scenery. Located in the eastern top corner of the state. Tallulah Gorge – as one of the most spectacular canyons in the eastern U.S., Tallulah Gorge is two miles long and nearly 1,000 feet deep. Walk the rim, or obtain a permit to hike to the gorge floor. There is even a suspension bridge that sways 80 feet above the rocky bottom, providing amazing views of the river and waterfalls. Moccasin Creek State Park – featuring a gorgeous lake surrounded by the Blue Ridge mountains, visitors can enjoy fall scenery while boating, fishing or camping. 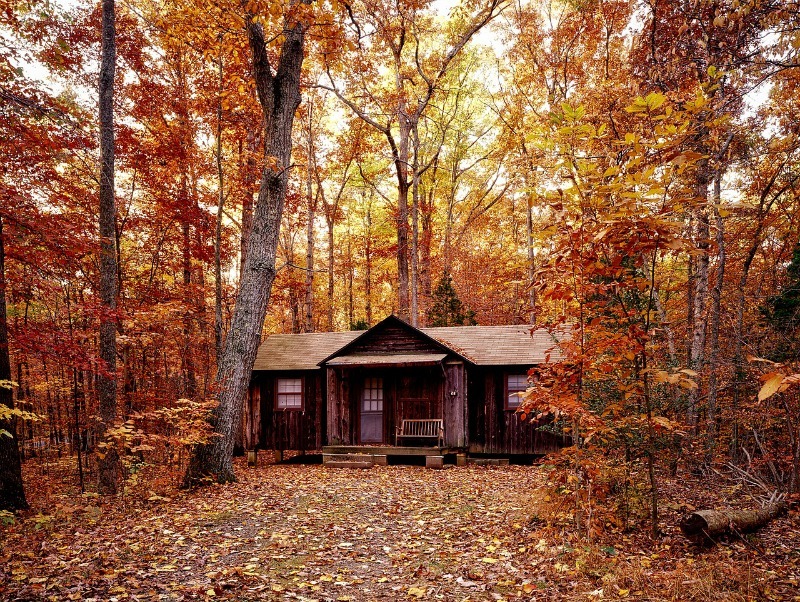 Where are some of your favorite places to see fall colors in Georgia?